About 400 million years ago, some of the rocks that make up the Falkland Islands were part of the supercontinent of Gondwana, crunched between southern Africa and what is now Queen Maud Land, Antarctica. When tectonic forces tore Gondwana apart, the Falkland Islands were left behind like crumbs as a massive geologic cookie was split into pieces. Today, the islands are situated about 600 kilometers (400 miles) east of Argentina and 1,350 kilometers (850 miles) north of the Antarctic Circle. 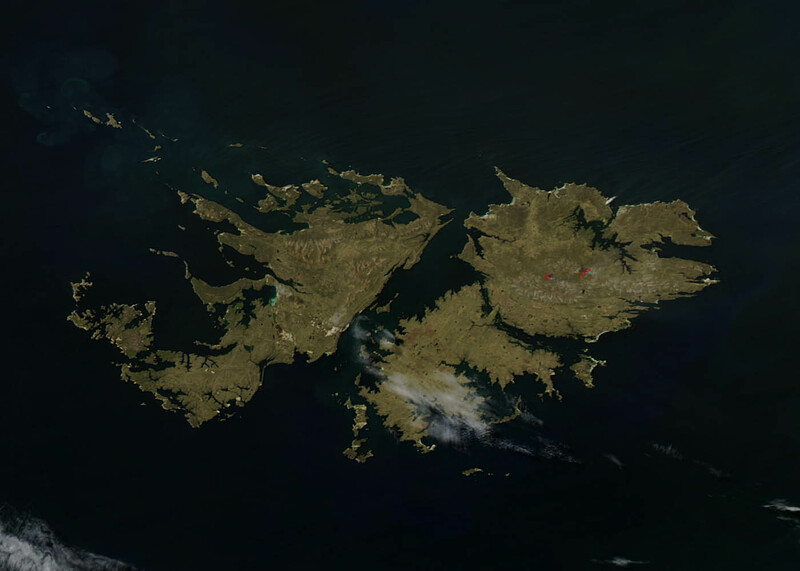 There are 778 islands in this territory of the United Kingdom, but just two large islands—East Falkland and West Falkland—comprise the bulk of the Connecticut-sized landmass. The Falkland Islands have a cool, moist climate that varies minimally throughout the year. 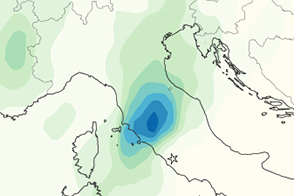 Average annual temperatures are about 5.6°C (42°F). Temperatures reach as high as 24°C (76°F) in summer and as low as -5°C (22°F). Rainfall is comparatively low and evenly distributed throughout the year, averaging 625 millimeters (25 inches) in Stanley, the capital city. Few trees grow on the islands. Intead, grassland and heath—which is widely used as pastureland for sheep and cattle—dominate the landscape. The islands are home to nearly 500,000 sheep and 5,000 cattle, and the animals far outnumber the 2,600 people permanent human residents. About 80 percent of the people reside in Stanley. Farmers often burn pastureland in the early spring to encourage growth. When ewes and lambs are born, they move the young animals to recently-burned areas to graze. On November 17, 2012, the Moderate Resolution Imaging Spectroradiometer (MODIS) instrument on NASA’s Aqua satellite captured a glimpse of a few of agricultural fires west of Stanley. Red outlines indicate hot spots where MODIS detected the unusually warm surface temperatures associated with fires. 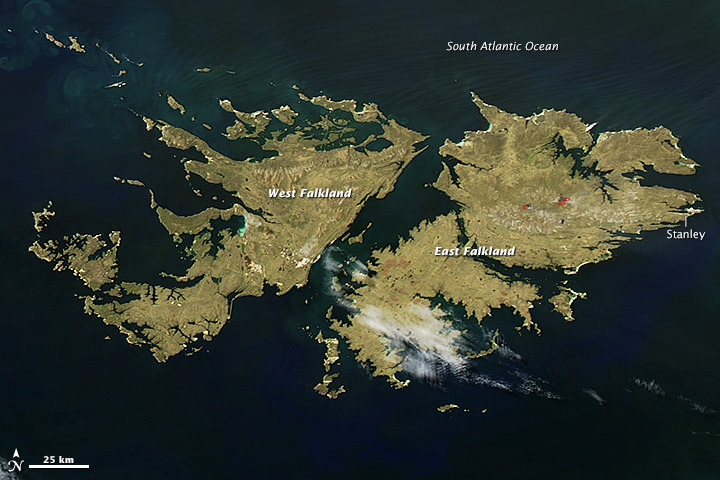 The same satellite instrument captured another view of agricultural fires on East Falkland in October 2012. 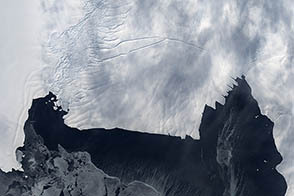 NASA image by Jeff Schmaltz, MODIS Rapid Response Team, Goddard Space Flight Center. Caption by Adam Voiland. Sheep far outnumber people on the Falkland Islands, an archipelago comprising hundreds of islands off the coast of southern Argentina. CIA. (n.d.) Falkland Islands. Accessed November 19, 2012. British Geological Survey. 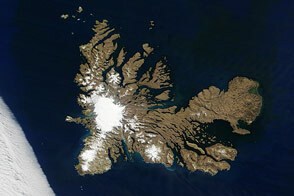 (n.d.) The Geology of the Falkland Islands. Accessed November 19, 2012. Falkland Islands Government. (n.d.) Falkland Islands. Accessed November 19, 2012. Falkland Islands Government. (n.d.) Farming in the Falkland Islands. Accessed November 19, 2012.